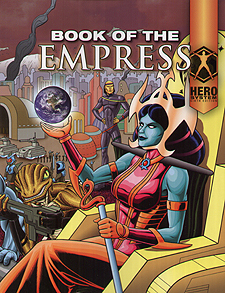 The Champions Universe features many deadly supervillains, but perhaps the most dangerous of them all is Istvatha V'han, Empress of a Billion Dimensions. Ruler of an empire that encompasses much of the Multiverse, she now has her sights set on the greatest prize of all: Champions Universe Earth! So tell your heroes to get ready - it's time for them to confront the dimension-conquering power of Istvatha V'han.